Emily is a smocked front yoke sundress w/a high waist. The bias band that finishes the armhole continues over the shoulders to make the straps. 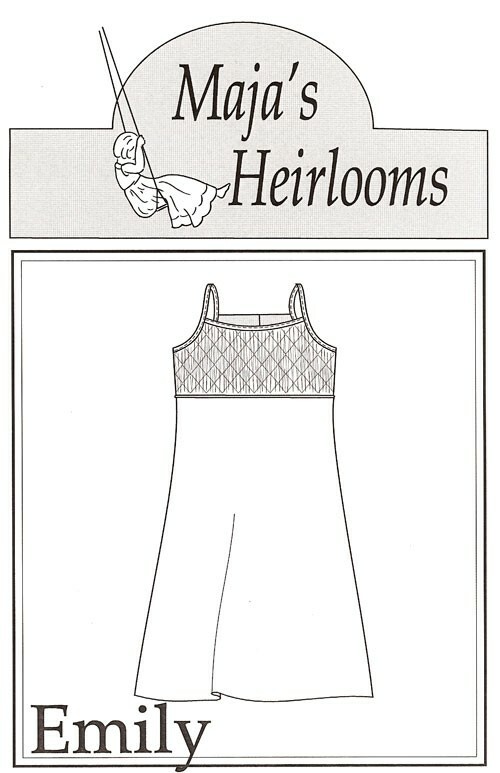 Sizes 1-4 have a swing skirt & the remaining sizes have a straight skirt.